A quality formed case to fit all bell-front baritone horns, either rigid or detachable bell models. Made of wood, covered with black vinyl. Plush interior. Note: Some assembly is required. There are blocks inside the case that need to be screwed into the appropriate place so the instrument will be held securely. 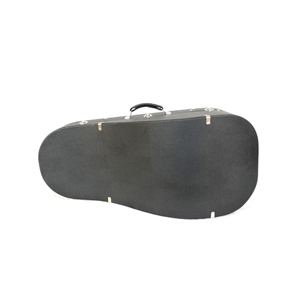 It is best to bring your instrument in to the repair shop and have them install the blocks (no charge when buying the case). An interior retaining strap is also included with the case.